Okay, so all of them are showing as green. No extra files that you don't want to commit? Nope, doesn't look like it. @angussidney cc @Mith careful - git add * may run into some issues with bash interpreting * in specific ways you don't want. Use git add -A to add everything. I tried to push it upsteam and it appears to have worked now? > Your branch is ahead of 'origin/master' by 1 commit. Did it spit out any errors? Could you run git remote -v please? Also, have you changed any network stuff e.g. added a proxy? maybe I accidentally hit enter twice or something? Disregarding all the technical issues, was that easier than you were expecting? @ArtOfCode WE LOVE HATS! Winter Bash will begin in 7 days, 13 hours, 33 minutes, and 7 seconds. WE LOVE HATS! Winter Bash will begin in None. Restart: API quota is 15934. @Mithrandir That pattern looks like it's already caught by Pattern-matching website in body and Pattern-matching website in answer; use ! !/watch-force if you really want to do that. Restart: API quota is 15861. Yeah, from the 20 minutes I spent looking at the docs it looks good. Significant work to adapt to it from REST, but more flexible and you don't have to deal with the F-word. @ArtOfCode I'm guessing you just read the blog post, or you're about to send an email? @Undo can you do a DB query for users with the core role? @Mithrandir yes, I'm pretty amazed how I manage to get on all kind of lists ... when it is for voluntary things, project lay-offs, you name it , I'm on it .. Restart: API quota is 15577. Restart: API quota is 15576. Restart: API quota is 15526. @Henders he's got quite the nose, eh? @SmokeDetector smells like a spam seed or am I wrong? Also, the GitHub Desktop team is working on supporting Linux. Restart: API quota is 15115. .... what's the command for reporting all of a user's posts? Restart: API quota is 15064. > If the only reason you're here is to sell something or drive traffic to your site, then please avoid posting answers. Our advertising rates are quite reasonable; contact our ad sales team for details. We also offer free community promotion ads for open source projects and non-profit organizations. Several other things in that page say "don't be here just to advertise your stuff in everything you post"
@SmokeDetector doesnt allspam manually report all for flagging? @SurajRao I thought it did that too. @SmokeDetector Who added the misleading link filter? Good work adding it so fast. @SmokeDetector Google translate suggests that's not necessarily spammy. It's "how do i do this thing in php? ", answer "it seems people use sonarqube to do that thing, though i haven't used it myself, here's a youtube link to a russian talk about sonarqube usage, and the sonarqube site"
@Federico You don't have code privileges, but I've created PR#1322 for you. I started checking the domains in it, but it is a long list, do you want to see the content? so the command would be ! !/blacklist followed by all the domain names? Restart: API quota is 14016. @Mithrandir can you help me then? what do you mean by PR? (I assume pull-request) where do I find the command to use? One sec, I'm on mobile. 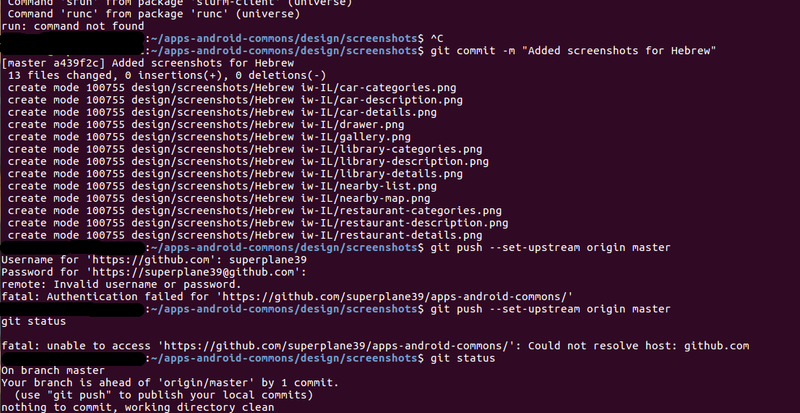 But no commands; I'd advise manually going to GitHub and creating a pull request to add those domains (with the `\`!) to the watchlist file. what number should I put at the beginning of the lines? Yeah, I'm not sure... @tripleee? but it's superseded by this one, right? Restart: API quota is 13769. Restart: API quota is 13715. @Federico You don't have code privileges, but I've created PR#1324 for you. @Federico You don't have code privileges, but I've created PR#1325 for you. @ArtOfCode shrug Current list is fine for tar-and-feather purposes. Wait...do we get tarred and feathered or do we get to do the tar and feathering? @DJMcMayhem You don't have code privileges, but I've created PR#1326 for you. thanks to my work in making the chat system work for my purposes. @Federico thx. One of my colleagues has already taken care of it. Restart: API quota is 9958.